As broadband phone services continue to rise in popularity, regional VoIP providers are finding the means to expand their businesses. 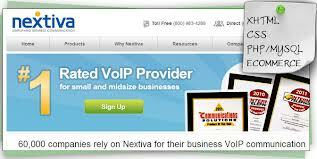 Nextiva, a VoIP firm based in Scottsdale, Arizona, expects to hire an additional 100 employees by the end of the year. Norway’s second largest broadband supplier, NextGenTel, has bought the broadband and VOIP business of Tele2 Norway. The deal will strengthen NextGenTel’s position in the Norwegian market by adding 97,000 broadband subscriptions – of these 23,000 are VOIP subscriptions.